Hello people. How are you doing? Hope the week is going on well? Its yet another thursday and on the posts schedule we have product alert for today. 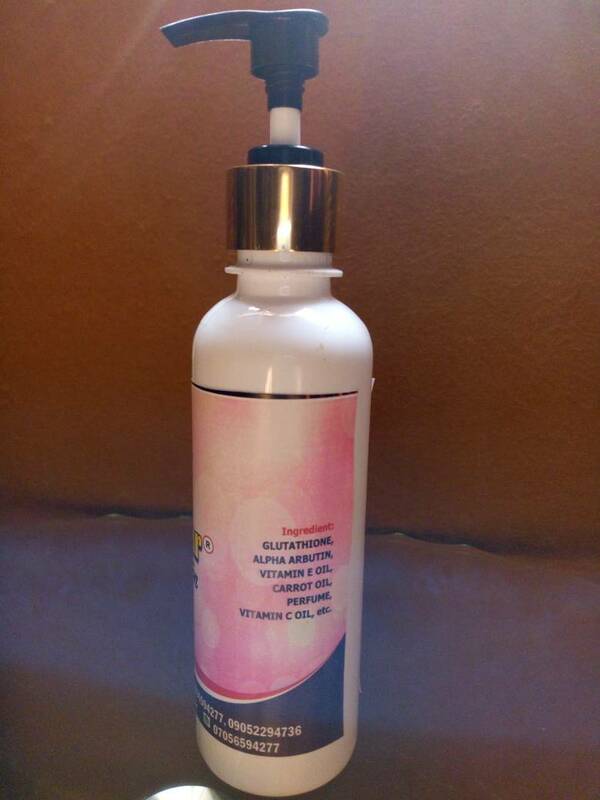 Im presenting to you a very amazing skin lightening / whitening lotion by Bod-clear naturals...A Made in Nigeria product with an 'A' in effectiveness. %100 trusted to give you that egg yolk radiant even-toned natural light complexion. Bodclear lightening lotion exfoliates the body and lighten the skin naturally. Leaving the skin light and flawless. It fights against dead cells like blemishes , black spot, dark patches, uneven skin tone, dark necks and circles. 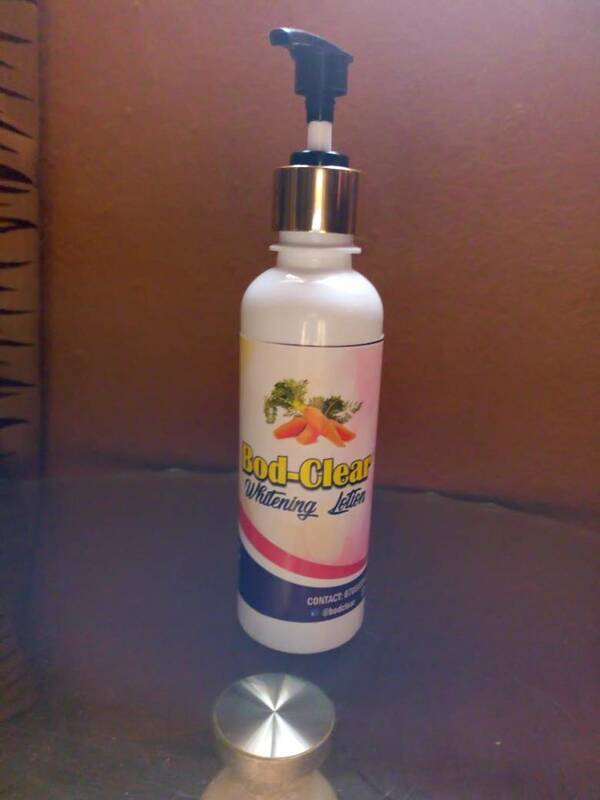 Bod-clear whitening lotion contains organic natural skin ingredients which include licorice, alpha arbutin, kojic acid, citric acid, vitamin E oil, cinnamon, cam wood, almond oil, goat milk, metabisulphide, fragnance, lemon oil. IS BOD-CLEAR WHITENING LOTION SAFE??? This lotion as safe as a clean drinkable water...Lol..I didnt say its drinkable o..im just trying to say its very safe for your skin. Im using it right now and will review it soon. This is just a sponsored alert. WHERE TO BUY BOD-CLEAR SKIN WHITENING LOTION??? Bod-Clear Naturals Skin care is the producer of Bod-clear Whitening Lotion. The brand have other good products for every skin type at all, both for lightening and for grooming. 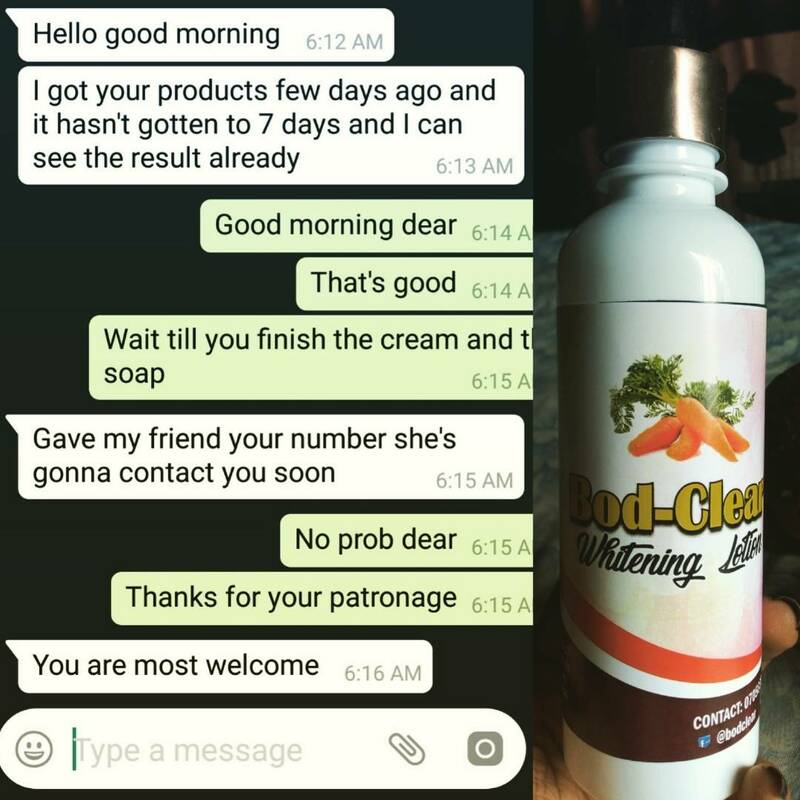 I dont know if you can get this lotion in a cosmetic shop close to you, however, Bod-clear Naturals are on whatsapp on +234 705 659 4277. Hello christopher. Use the whatsapo number in the WHERE to buy section to contact them.